I promise to use it only to send you Riviera Maya Lovers. Luxury Hotels will treat you like royalty! So when I'm on vacation I want the very best in a hotel or resort and I expect to be amazed by the service, amenities and breathtaking views! There are definitly some incredible luxury hotels, resorts and boutique hotels in the Riviera Maya that stand above the rest! They are more expensive as well, but definitly worth it! The Tides 5 Star Hotel ranked #1 for Mexico Hotels in 2008 and in 2009 ranked #41 out of the top 100 hotels in the World!!! That is incredible! If you enjoy the all inclusive feel at a resort or beach hotel, be assured that there are some high quality all inclusive resorts that offer incredible amenities including private pools, personal butler service and top notch food made by 5 star chefs. I went to the El Dorado Royale on my honeymoon and this is a prime example of pure luxury. Sure they have normal suites and great amenities, but they worked hard to create a level of luxury that goes a step beyond with your own private plunge pool and even outdoor showers under a thatch roof. If you enjoy being pampered beyond belief then maybe a Luxury spa resort is for you! There are lots of resorts that have spa's, but the Aventura Spa Palace specializes in their spa treatment and pampering you and stands above the rest. 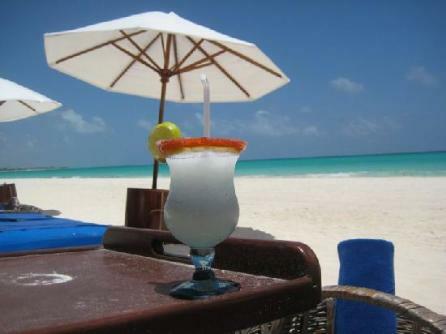 There are two brand new resorts in the Riviera Maya that boast of being 5 star and they deliver! The Valentin Imperial Maya has a Italian/Meditteranean type feel that is relaxing and beautiful! 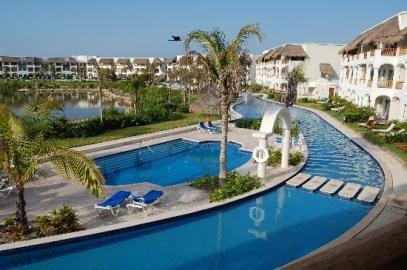 The Secrets Maroma is part of the Secrets family or resorts that are all adult only and all inclusive. The service here is unbelievable! You can ask for anything and they will do all they can to accomodate you and go beyond what you ask on any normal day. The last 5 star all inclusive luxury resort is Iberostar Grand Paraiso. Iberostar is an incredible brand name and this is their adult only all inclusive hotel in the Riviera Maya. From the moment you walk in the doors you will see the luxury! I've seen no other hotel like it! It has a colonial feel as huge paintings line your walk to your private room. If you have a family but still want the ultimate in luxury, check out the Azul Beach Hotel and Iberostar Paraiso Maya and Iberostar Paraiso Lindo. These two Iberostar hotels share the same property so you get to use the amenities of each. They treat you like kings and queens! Do you prefer a small boutique hotel that isn't all inclusive so you get to eat wherever you choose? Boutique hotels are known for their great service. They are smaller luxury hotels so they don't accomodate as many people and therefore give incredible service to their guests. These boutique hotels offer private plunge pools, oceanfront villas that are up to 4 bedroom! Zoetry La Bonita Rosewood Mayakoba will take your breath away as you walk into your amazing villa only to see the nicest amenities, biggest rooms and breathtaking views of the ocean or lagoon! You could even have a suite on your private island! Maroma Resort and Spa is an award winning boutique hotel! 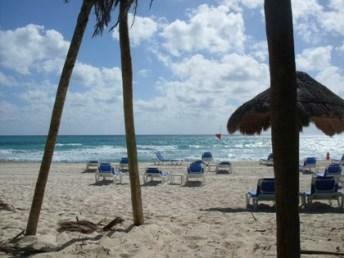 It's on the best beach in the Riviera Maya, Maroma Beach and offers impecable service.